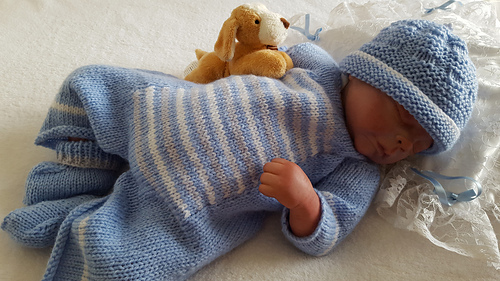 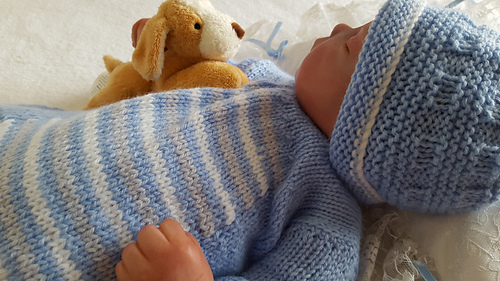 0-3 Months or Life size Reborn Doll 20-22"
Pattern uses Double Knitting (8ply yarn) and knits up quickly. 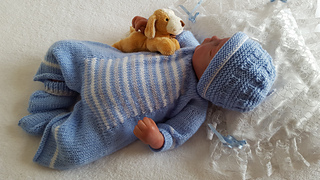 Knitted flat on two needles. 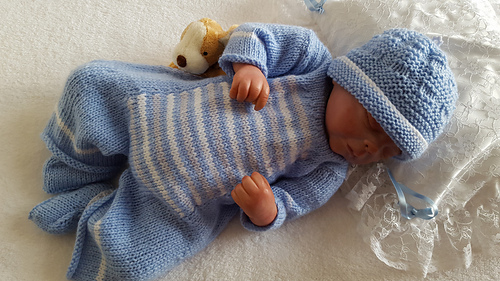 Sized to fit a 0-3 month baby but also suitable for life size reborn collectable dolls.